This is huge. SMACC’s back, live and loud in Manchester on the 10th March 2018. The 2019 conference launch is taking place across the globe with parties in Sydney, New York and Manchester on Saturday 10th March. St.Emlyn’s are truly honored to be hosting the European leg of the launch party. At the Impossible nightclub in the heart of Manchester. We look forward to meeting you in this amazing venue to chat, catch up and to screen highlights from the opening ceremony in Berlin. This will also be the premiere of the forthcoming online content from dasSMACC. Manchester is an amazing place. It’s got world renowned music, science, culture, sport (red and blue), humour and swagger. It’s easy and cheap to get to and is linked into an incredible transport network that connects us to the rest of the UK and Europe. The nightlife is amazing and it’s a city that has a long history of pushing the boundaries of EM and critical care research. It’s also the spiritual home of St.Emlyn’s. The St. Emlyn’s ‘event team’, led by Janos Baombe and Gareth Roberts, promise you an amazing night. If the SMACC party is not enoughand you need more then Manchester has an amazing after party scene, clubs, bars, and well pretty much anything you desire! OMG it’s cheap! 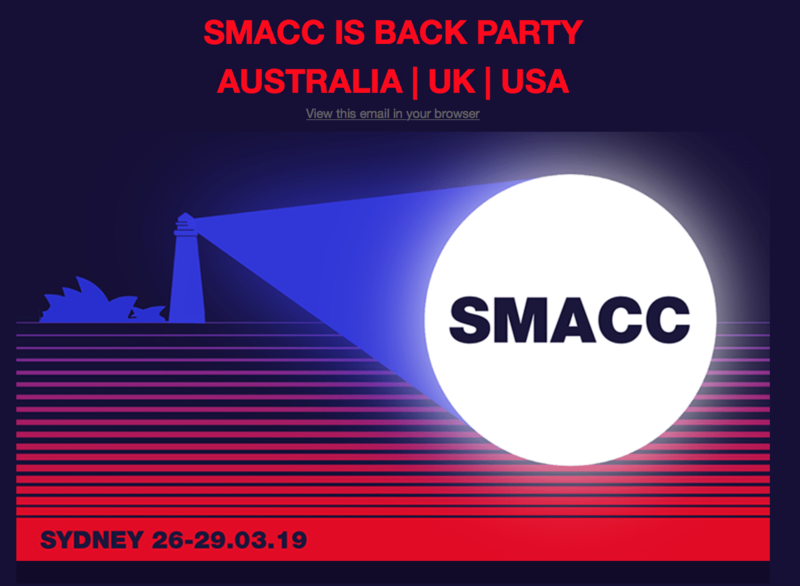 Heavily discounted by the SMACC team we are selling tickets via the SMACC website for just AUD $50 (about £28) for drinks and canapes. You can get a cheap flight from anywhere in Europe, a train from the UK or just start walking now. Come and join us (and if you are struggling for accomodation drop us a line). Set you’re alarms for 0800 on the 7th Feb to get tickets from https://www.smacc.net.au/ Tickets are limited owing to the venue size so be sure to get in early. You (obviously), and any other #FOAMite who is lucky enough to get a limited ticket from the website which opens at 8am on the 7th Feb. There’s a huge buzz around this event already so don’t miss the launch date else you might miss out on a ticket. Have we not told you enough already? If not then get in touch with the St. Emlyn’s team at stemlyns@gmail.com or follow the links below to the SMACC team in Australia. Previous: Previous post: Is there anything else I need to know? Working in Africa.